6:30pm – 8:00pm. Sarah Rossell, accountant, will present briefly on bookkeeping and taxes for the specialty food business. Then Lance Raimer will tell you how to increase food sales with a good distributor! Please join us for the special event! Sunday, November 11, 2012 we will can Beef Bourguignon, an iconic French dish of beef with vegetables in aromatic herbs. This winter you will have hearty, comfort meals ready to go. You will put up 7 - 9 quarts for storage, and maybe extra quart meals for immediate consumption. We will use the Beef Bourguignon canning recipe from www.canningusa.com. Bring your own knives, a very large heavy skillet, a large sauté pan, and a pressure canner with a capacity of 7-9 quarts, and jars, lids & rings. *You may break and walk around Lowell, run errands, or stay and order Pizza delivery during this simmer time. ** You may walk around or leave and come back the next day to pick up your production, if you want us to wait for the pressure time and cool down time. Reminder: Tonight 6:30p. Hope to see you there! We'll be doing freezing for end of the year produce! Bring your produce, knives and freezer bags! 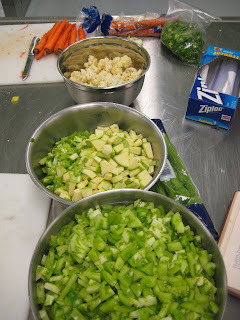 End of the year produce is what we're doing! This Thursday starting at 6:30 pm, $25.00 for the session, no reservations needed. 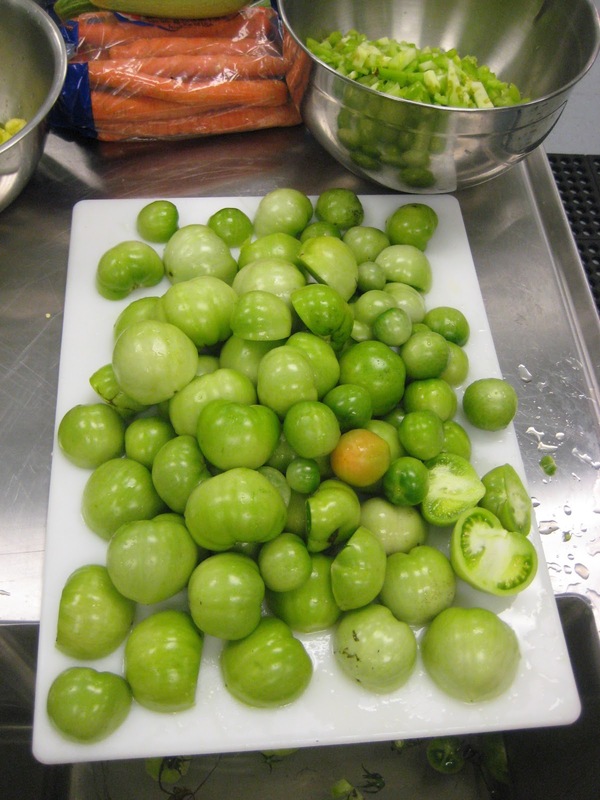 We will freeze brussel sprouts and other end of the year produce. Bring your produce, knives and zip-lock freezer bags. Thursday evening we froze pumpkins, carrots and squash. Maybe next week, brussels sprouts. The farmers market said cold weather makes them sweeter. So we will be patient with the brussel sprouts. Last weeks session was freezing pumpkins & carrots. There was beta carotene in the air for sure. Freezing is fast in comparison with canning. brussels sprouts and carrots and pumpkins. Just bring your produce, knives, and ziplock bags. Canning Thursday Tonight: Carrots and pumpkin freezing and canning is on for tonight, but Brussels sprouts will not be ready until next week. Bring your own produce, knives, plastic bags, and jars, lids & rings if you have them. We have jars, lids & rings available if you do not have them yet. The evening starts at 6:30 pm is $25.00 per person for the evening. 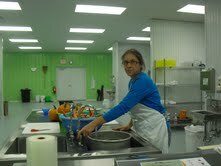 Carrots and pumpkin freezing and canning is on for tomorrow, but Brussels sprouts will not be ready until next week. Bring your own produce, knives, plastic bags, and jars, lids & rings if you have them. We have jars, lids & rings available if you do not have them yet. The evening starts at 6:30pm is $25.00 per person for the evening. Facility Kitchens for commissary services. this Thursday starting at 6:30 pm. $25.00 for the evening. Bring or buy your produce, and knives, plastic bags for freezing, jars, lids and rings. Get your canning and freezing done faster! 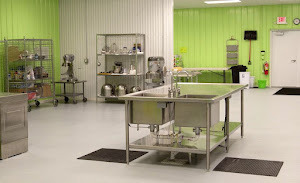 Be profitable in your specialty food business! A mini conference at Facility Kitchens (www.facilitykitchens.com) - 6:30pm – 8:00pm. Sarah Rossell, accountant, will present briefly on bookkeeping and taxes for the specialty food business. Then Lance Raimer will tell you how to increase food sales with a good distributor! According to legend, chow chow was created for Napoleon by his distinguished chef, Signor Quailiotte, and when the Emperor went into exile at St. Helena, Quailiotte went to work for Crosse & Blackwell in London, where he re-created the condiment. The same recipe is used by the company today. We'll be canning and freezing tonight starting at 6:30 pm. We might even do some green tomatoes!